Today was Day #4 of Milk Chocolate Theme Week. 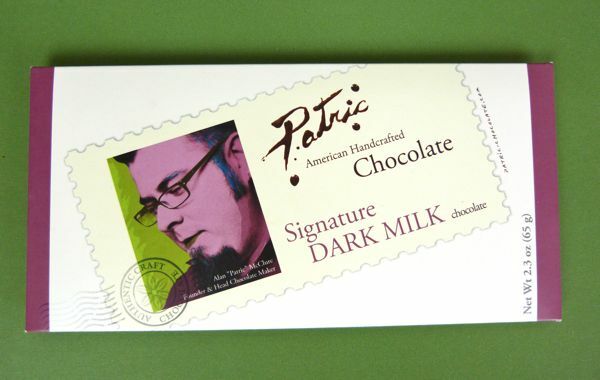 This Dark Milk Chocolate bar, from Patric Chocolate (Columbia, MO), came with the added creaminess of some milk, but retained chocolate maker Alan "Patric" McClure's signature blend dark characteristics -- that is, a well-balanced blend of acid/fruit and earth notes. Made with four simple ingredients: cacao, whole milk powder, cane sugar, and cocoa butter -- this Dark Milk bar, I'm guessing, might be anywhere from 52% - 62% cacao. No percentage was listed on the packaging or the Patric website. Thank you to Alan for his deft use of sugar, to enhance and not overpower the cacao flavors. 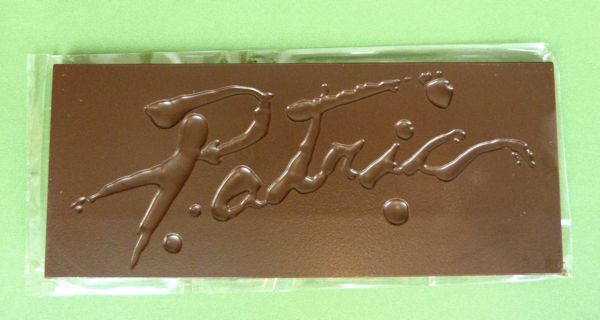 I look forward to trying the new, seasonal Patric Milk Chocolate bar with Anya Apricots soon. 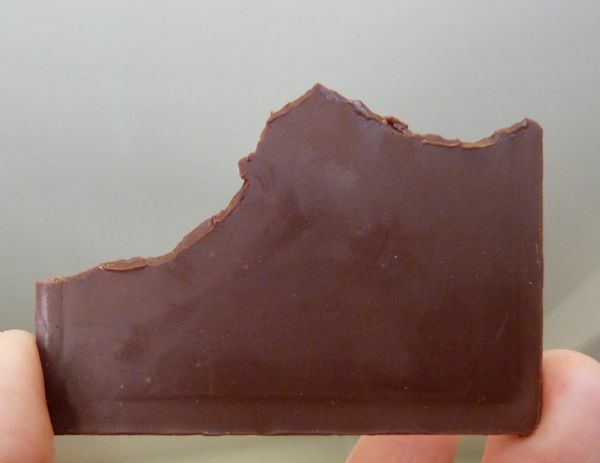 In the meantime, I'll work on biting Patric bars so that they more closely resemble the shape of their origin state of Missouri vs. the fictional jurisdictional outline of Chocolate County.